What is Sarah's favorite way to edit? Why does she hand edit in favor of simply editing from the computer screen? Learn this and more in today's author interview! When I was a little girl, my dad would make up bedtime stories with whatever we wanted in them. I’d pick a submarine, my sister would pick purple unicorns and he’d make up a story that included both. I've been making up stories ever since. How and where do you write? Do you prefer a lap top or do you prefer writing freehand? I write on my desktop computer. I’m a musician and I have problems with my wrists so I have to be careful when I’m typing for long periods of time. I have a nice comfy ergonomic keyboard. I have typed on a tablet while traveling. I like to write at night when I can get totally lost in my story without interruptions. During the day my three daughters keep me busy. My favorite part about writing is getting totally involved in a scene, when I glance at the clock I’m startled to see that hours have gone by and I've written several thousand words. My least favorite part is editing. Editing requires a very different mindset than writing. My favorite way to edit is to read my book out loud to one of my daughters. Hearing them gasp at an exciting place or groan when it’s time to stop for the night is my payback. My characters I take from a facet of my own personality or from people that I know or have known. I've lived in several states and remember people from school classes that I haven’t seen for years. I remember the way they made me feel, how they acted and how they talked. I use those memories when writing. 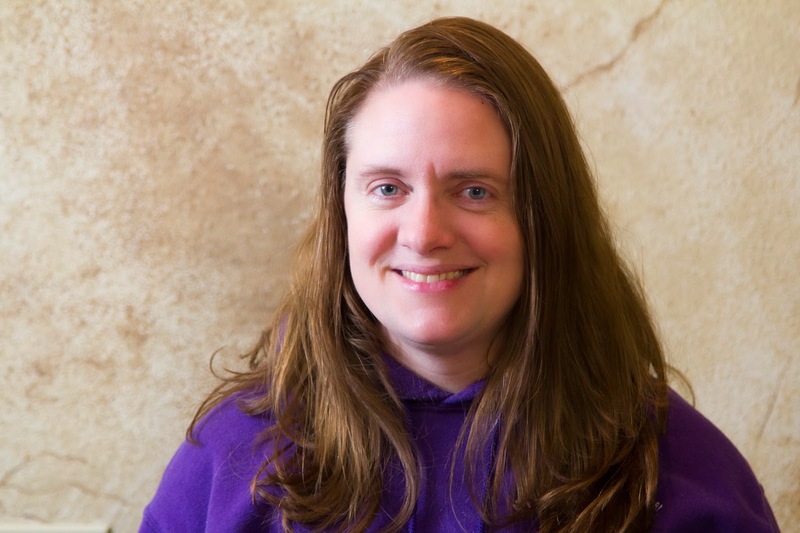 I have a website, facebook page, Goodreads author page, and an Amazon book page. I also have a poster and bookmarks that I use when I visit local schools for literacy nights and to talk to classes. I get engrossed in a book and get it written in a couple of months then I won’t write for months. I write in the evenings and when my children are at school. After I finish a book I’ll go through a couple of rough drafts and then start emailing copies to my proofreaders. I’ll also print a copy and hand edit. I can see a lot more flaws when it’s on paper. I’m currently working on the second book in my elements series. 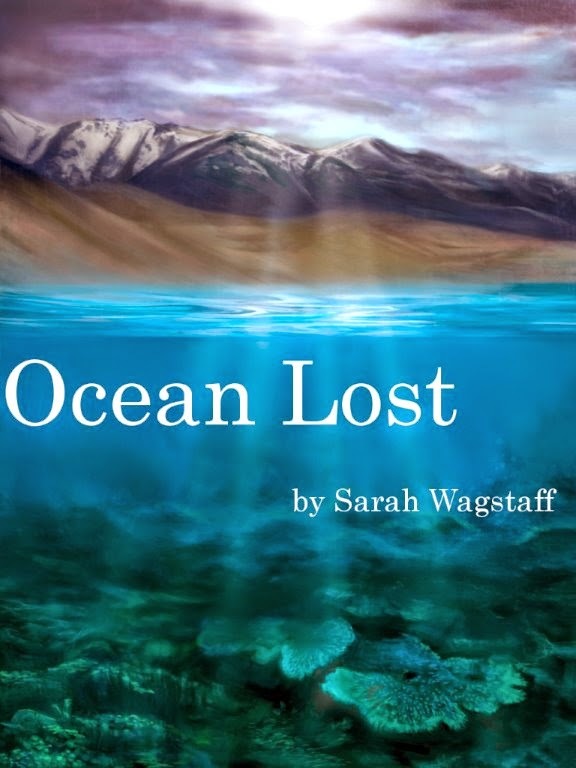 The first book, Ocean Lost, was published as an eBook on Amazon November 2013. I’m working on the sequel, Caverns Found. Ocean Lost is about a merman hiding as a human in Utah. Caverns Found is about four teenagers in Northern California who develop the ability to transform into dragons. I've also started the third book about two teenagers living in Quincy, Illinois. How much do you want it? Are you willing to write and rewrite a million words? There’s a certain level of writing skill to getting published, but after that, it’s extremely subjective. If you love writing, you’ll keep doing it until you get published. I learned a lot from writing critique classes and letting others read my books. Their comments have helped me become a stronger writer. What I see in my head isn't always what I've written and fresh eyes help me find the spots where I wasn't clear enough. I love the quote by Isaac Asimov, one of my favorite writers, I carry it in my day planner. It says “I write for the same reason I breathe- because if I didn't, I would die.” I want to write, the stories keep coming to my mind and want to be told. Another quote that I love is by Marianne Williamson -“Our deepest fear is not that we are inadequate. Our deepest fear is that we are powerful beyond measure.” I write because I love creating. I love the feeling of taking an idea, a character, an emotion from my mind and sharing those elusive thoughts by crystallizing them into words that flow into sentences and then collect into the ocean of language that makes up a single book. I have author pages on Amazon and on Goodreads. Marketing Class! This coming Saturday! Marketing Classes to Live For!